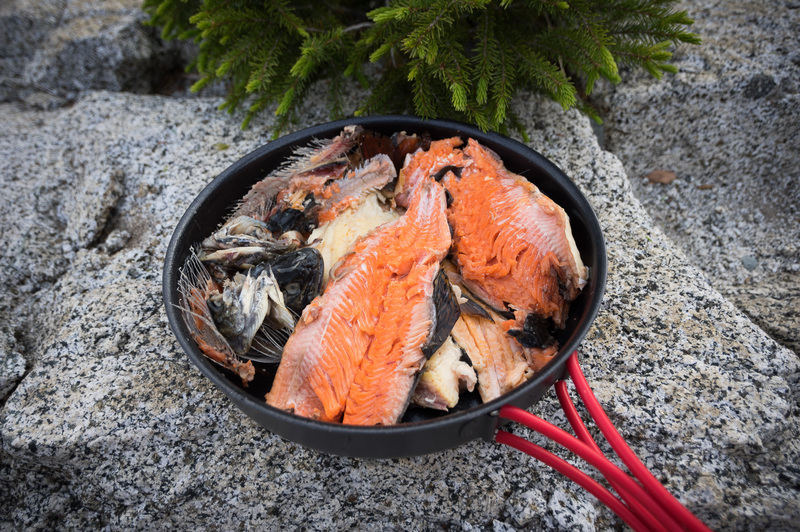 What does my favorite way of cooking fish in the backcountry have to do with 3D printing? Not much, though some of my gear is 3D printed. Still, this way of cooking doesn’t seem as common so I though it was worth sharing and I don’t have a better place to put it. It’s very similar the method shown in this video (which is the one that inspired me to start cooking this way). So if you enjoy backpacking and fishing, here’s my favorite way to cook freshly caught fish. (I also cook fish at home the same way, so it isn’t just for backpackers). What is a 3D printer good for? What is a 3D printer good for? I assume this is a question most 3D printer owners get asked repeatedly and I’ve never been quite sure how to respond. Somehow the media has convinced many people that 3D printers are only useful for making guns and useless plastic trinkets. 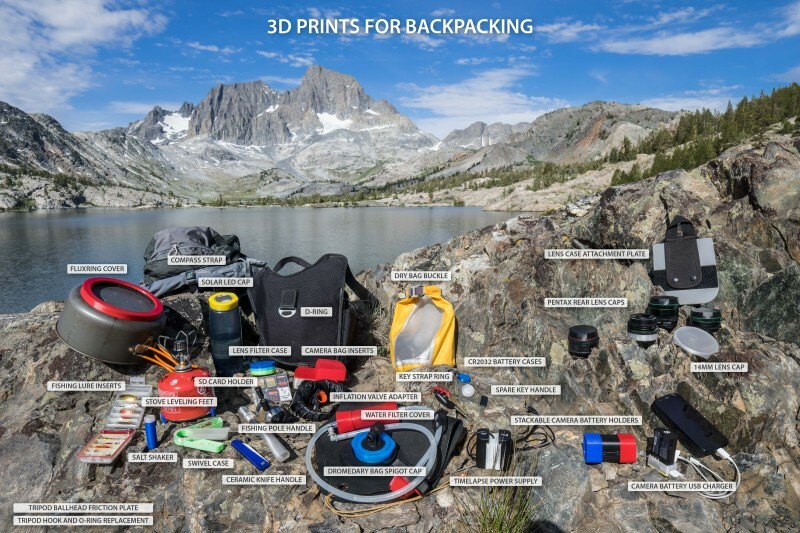 So here’s how 3D printing has made it’s way into one of my hobbies, summer backpacking in the High Sierra. This is a picture from my last trip, and it explains things in a way I can’t with words. 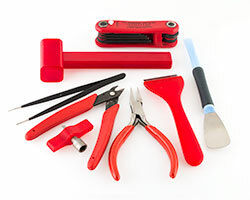 There are about two dozen different designs and over 50 printed pieces of plastic/rubber. This is not a “walter the plastic boy” style made up shot, I’m a real person and these are the things I carry with me on summer backpacking trips. 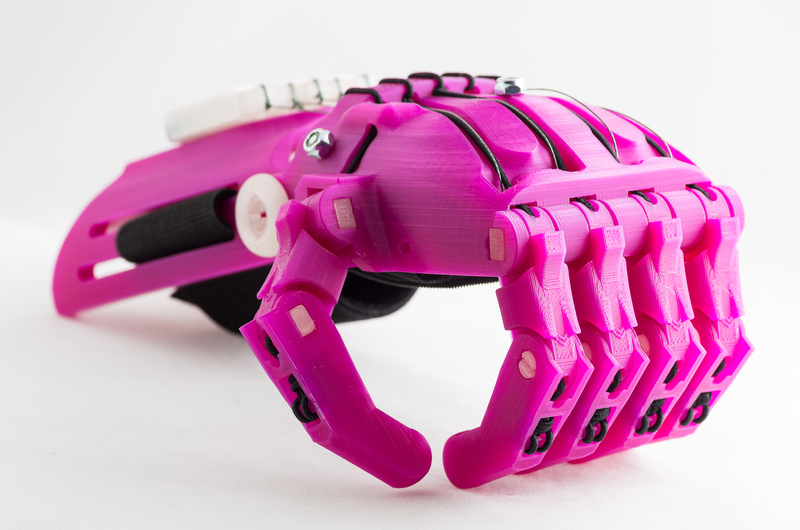 Recently printed a test hand to send to e-NABLE, a community of volunteers who make free prosthetics like the one below for those who need them.